Dr. Strickland established the Sports Concussion Institute (SCI) to provide state-of- the-art assessment, treatment, and prevention services to: 1) Address the comprehensive concussion care needs of athletes, military populations, and other individuals playing high velocity sports across the lifespan; and 2) Provide specialized neurobehavioral technology solutions and care to people with brain injuries, vestibular/balance disorders, as well as memory and learning disorders. He manages the largest NFL clinical evaluation and treatment programs in the nation. Dr. Strickland oversees corporate strategy, and works with the Nexus and SCI management teams to optimize key partnerships and initiatives. 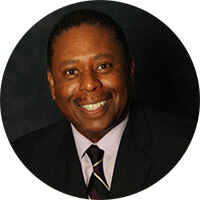 Dr. Strickland has built and managed corporate brands, has extensive experience within the healthcare, informatics, as well as product development spaces, and has led multi-disciplinary teams. He has managed P&Ls, demonstrated exquisite entrepreneurial drive, and has experience in merging and integrating companies and/or business units. With the help of its Board of Directors, Scientific Advisory Committee, Staff, and Community Partners, SCI has successfully served thousands of patients with a focus on individualized treatment and state-of-the-science of neurocare including telehealth. The health care practitioners that comprise SCI MSO– work conjointly to provide outstanding, comprehensive neurobehavioral health care for everyone ranging from school-age children to senior citizens in the prime of their lives. Also, Nexus and SCI have developed unique Mass and Single Tort, TBI, and PTSD solutions.